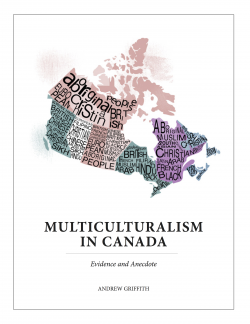 Working site on citizenship and multiculturalism issues. The new citizenship act is efficient. Is it fair? New Citizenship Act is Efficient. Is it Fair? While President Trump has failed to build a wall across the southern border, his administration is constructing a wall nonetheless—just one made of paperwork, rather than concrete, and targeting legal, rather than illegal, immigrants. Last week, the administration released its latest brick in this virtual wall: a policy that would give government officials the ability to deny legal immigrants outright with no opportunity for them to correct mistakes on their applications and then attempt to deport them. This latest policy is the culmination of a year-and-a-half of groundwork. First, the administration massively expanded the amount of paperwork in immigration forms by double or, in some cases, triple. The new forms asked vague and legally complex questions, which require a lawyer to answer and make it far more likely mistakes will happen. The administration continues to euphemistically refer to this as “extreme vetting” when it is nothing more than extreme bureaucracy. Second, pursuant to the president’s protectionist Buy American, Hire American executive order, the government began to issue far more Requests for Evidence (RFE) to support visa petitions. RFEs are issued when adjudicators demand new evidence before issuing an approval or denial. For H-1B high skilled visas, employers saw a 45 percent increase in the number of RFEs. RFEs lengthen the process of applying, increase attorney fees, and raise the cost of hiring a foreign worker overall.Third, just this month, the Trump administration rolled out a policy that would allow certain legal immigrant applicants whose petitions are denied to be placed in removal proceedings—the start of the deportation process—if the denial results in their permission to stay in the country expiring. This is a common scenario because employers can wait until just prior to the expiration of their status to file a renewal request. If the request is denied, the legal employee—who likely had no control over when the employer filed—is suddenly an illegal immigrant. Under prior administrations, the person could voluntarily leave the country or potentially reapply, but this administration would seek to deport them, which—if successful—results in a decade ban on returning. Finally, we have last week’s policy that brings together the entire effort so far. Now, rather than issuing RFEs for mistakes in applications, the government will give adjudicators the ability to deny the application outright. An outright denial would require the applicants at a minimum to refile or file an appeal with all the fees and attorney time that those options entail. This policy is misguided in part because the adjudicators often simply overlook evidence already provided. Applicants resupply it and are approved. In fact, the overwhelming majority of applications that receive RFEs are ultimately approved. Despite a 45 percent increase in the number of RFEs last year, the denial rate for applications only increased slightly. For this reason, this new policy allowing outright denials rather than an RFE is likely to get the results that the other policies failed to achieve: more denials and fewer foreign workers in this country. Higher costs and risks will lead fewer to apply, and more legal immigrants to seek out other countries that could use their talents. With each new brick, the virtual wall against legal immigration grows higher. The costs and risks are clearly having an effect. Immigration is down. Visits to the United States are down. These policies harm America’s economy by keeping foreign talent overseas and driving away potential customers for U.S. businesses. With a booming economy, and more job openings than unemployed workers, legal immigration policy should welcome foreigners willing to work, not seek to drive them home. David Bier is an immigration policy analyst at the Cato Institute. Andrew blogs and tweets public policy issues, particularly the relationship between the political and bureaucratic levels, citizenship and multiculturalism. His latest book, Policy Arrogance or Innocent Bias, recounts his experience as a senior public servant in this area.